As this year’s recipient of the Gordon B. Raynor Award, Wade Culliton has been recognized for his high standard of excellence in the Aviation industry, as a teacher, a public servant and as an Aircraft Maintenance Engineer. For thirty-five years, Culliton has been working in the aviation industry as an engineer for a variety of helicopter operators and maintenance organizations. It is safe to say that Wade knows his way around any kind of aircraft machine in the industry today. 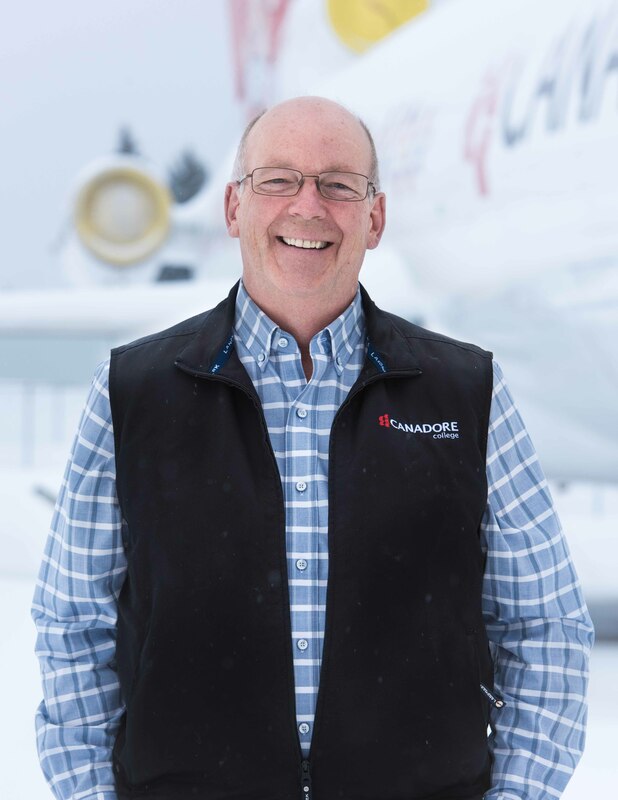 As a member of Canadore College’s School of Aviation, Culliton has helped to develop its aviation programs that Canadore has to offer, especially with his experience working with Transport Canada, working all around the world and as the current Manager of Aviation Operations, Quality and Development for Canadore College. With a M1/M2 Aircraft Maintenance Engineer license and an In Service Teacher Training Certificate from St. Clair College, Culliton is full of experience when it comes to helicopter dynamic component overhaul, structural repair and field maintenance. As an educator and mentor to more than 1,750 aviation students, Culliton challenges students and shows them the passion and commitment that he has for the industry. Many Canadore College Aviation graduates have gone on to have successful careers in the aviation industry with the help of Culliton and the rest of the Aviation community at Canadore College. Over the years, Culliton has also acted as a mentor for fellow colleagues in different settings, such as the classroom and in the aviation field. Needless to say, Culliton has made a notable impact on the many students and staff that have come through Canadore College over the years. Wade Culliton is a true leader in this industry and leads by example, making him one of the many top Aircraft Maintenance Engineers in the country.